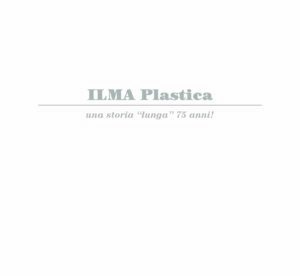 Founded in 1938, ILMA Plastica is a company that grew and established thanks to business ideas and challenges, that, together with the courage of who lead the company, allowed to achieve great success. ILMA was able to build an important cooperation network with the most prestigious companies worldwide in automotive, motor, design, furniture and tools sectors. Since the company has a wide experience and it keeps pace with recent technologies, it is the ideal partner to design and build injection moulds, moulding and try-outs. The company’s growing success is revealed by the achieved surface area of 75,000 square meters that includes a design area, a mechanical workshop, where mould are built and a moulding area. All of these physical areas including warehouse and machinery reach their true value only thanks to real people, who, with their competence and commitment, have given an added value to a company that invests in people by believing in everyone’s potentiality. Founded in 1938 by Mr. Antonio Caraffini, great-uncle of the actual President, Ilma Plastica had centred its activities in moulds building and plastic products. This last department, devoted to compression moulding, was carried on by three workers. In 1946 Mr. Dante Caraffini, Mr. Antonio’s nephew , started an activity of moulding for Mr. Gaetano Borghi, Mr. Giovanni Borghi’s brother, founder of Ignis Company; he started with an order of 500 plastic kitchen hand grips. In a very short time the order became of 5000 units per week. A partnership was thus created with the Borghi brothers and Simpa producing, which produced plastic items for Ignis, was established. In 1949 a very important collaboration started with Usag, started. That was the time of the first production of screwdrivers plastic handles. In 1950 the company started producing toilet seats in thermosetting composition for Inda and Hamberger Companies. In 1960 Ilma specialised in injection moulds for television cabinets and worked for Zenith, Motorola, RCA, Grundig and Philips. The 1970s saw the real great technological revolution in the company with the first prototype mould for plastic bumpers in the automotive area. The car was Fiat 127. Since then the specialization in this branch, has constantly grown. In 1983 Ilma provided with a CAD-CAM 3D project interactive system one of the first companies in Italy together with Pirelli and Marangoni. In 1990 the first press KM 3200 tons was installed in Ilma. In 1999 a second press was installed, this time a KM.2700 tons. The year 2000 saw the creation of two business-units: moulds construction and plastic material moulding. In 2001 Mr. Antonio Caraffini succeeded to his father Dante in the leadership of the company. ILMA starts moulding AUTOMOTIVE components. A distinctive year for ILMA: the “compact system” is patented: a new solution for big moulds in the automotive industry. This patent has allowed to build a compact structure that reduced stressed areas and guaranteed an excellent quality. “Compact system” has revolutionized the world of designing and organizing production decreasing critical situations in deliveries. A new moulding press – KM 400 tons – is installed. The company grows: a new warehouse is built and a new moulding press – KM 1600 tons – is installed. ILMA chooses to use the new management system SAP. The old storehouse is replaced by a vertical automated storage system.